Protection for the teeth. 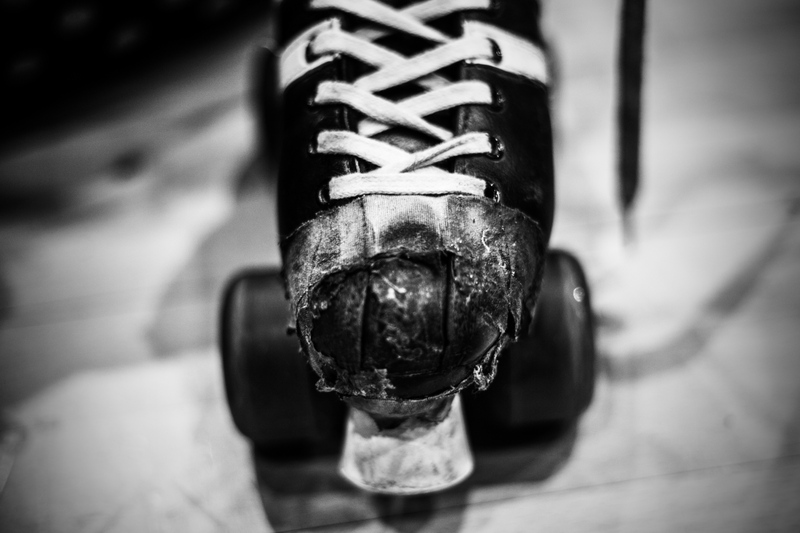 Roller Derby Players are equipped with all kinds of crash protectors. Throughout the game the attacks and falls are being constant. Players waiting to start the "Jam". The matches last two periods of half an hour each with 15 minutes of rest. They are divided into small rounds (jams), of 2 minutes maximum. 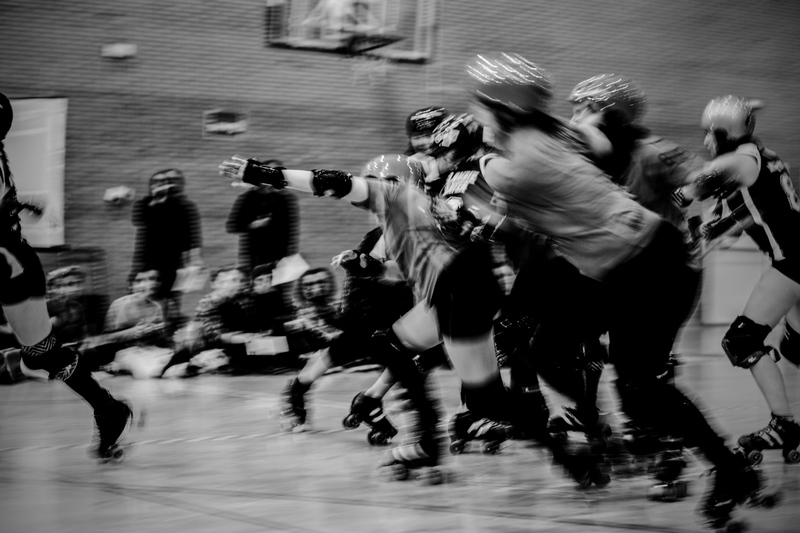 The jams begin with a first beep with which the "pack" starts to skate, while the "jammers" ( only players who score) will try to pass through the pack and overcome the "blockers." Training Day. 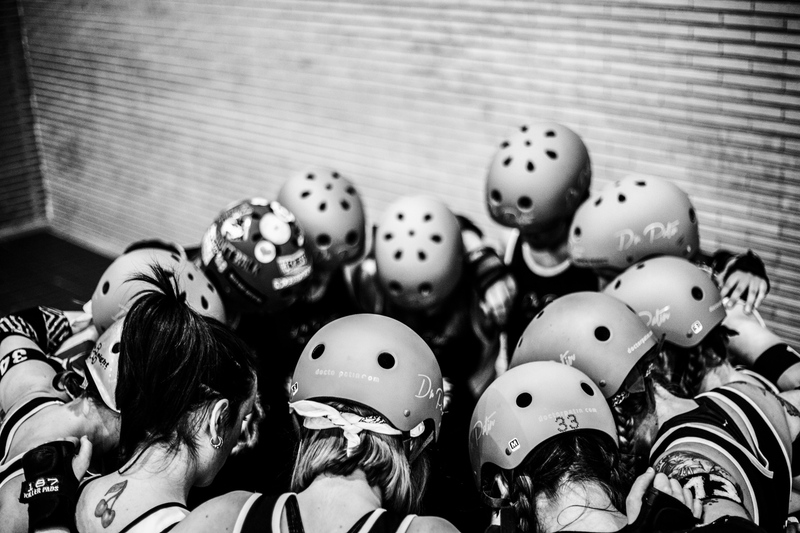 Concentration, strategy, agility, speed, endurance, strength and relationship with the rest of your team. 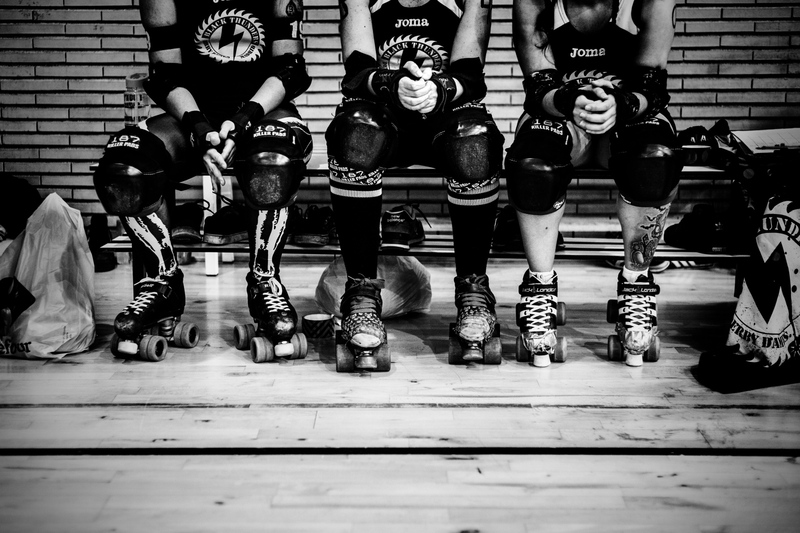 The components of the team must be physically fit enough to withstand the tough roller derby matches. 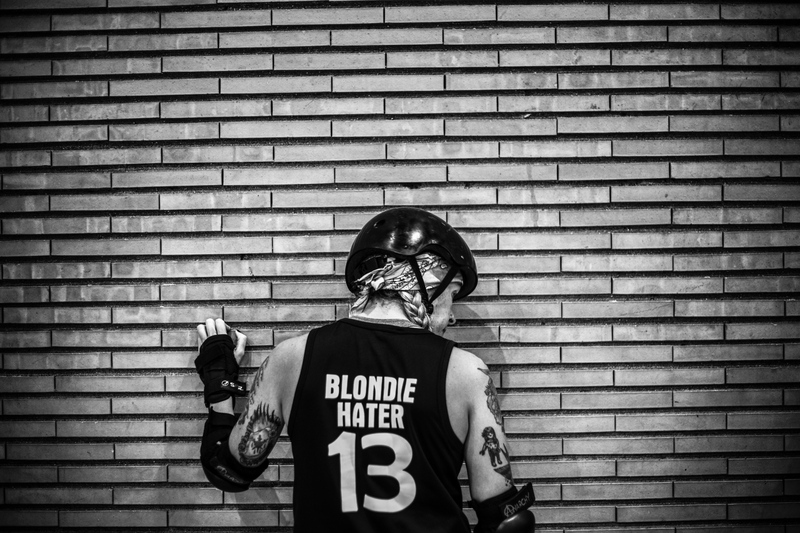 Blondie Hater. 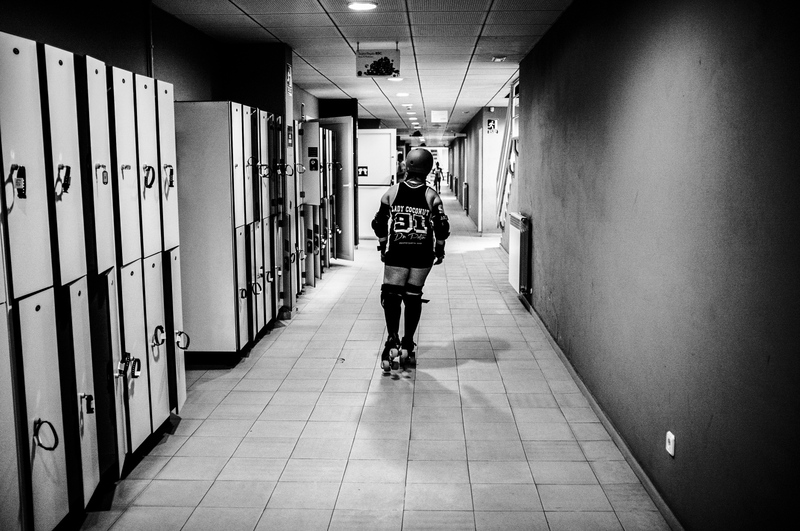 Roller Derby Madrid player. 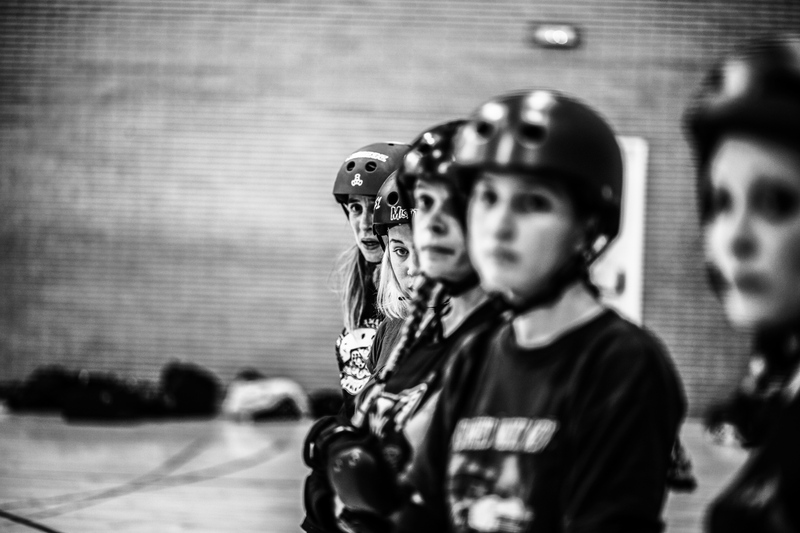 Roller Derby Blackthunders Dames Team. The game is played on a flat oval track. Where they strugle two teams with 5 players each. 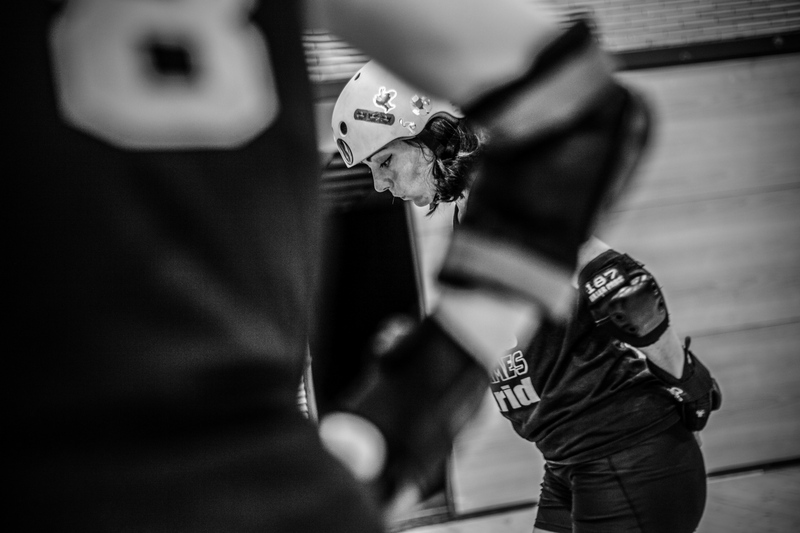 Blockers are trying to reach the rival Jammer, so she can´t score. Falls are constant, sometimes injuries and fractures. Jammer "Gimbal-Lock " helped by her Pivots during match. The pivots are necessary to avoid the blockers of the rival team. 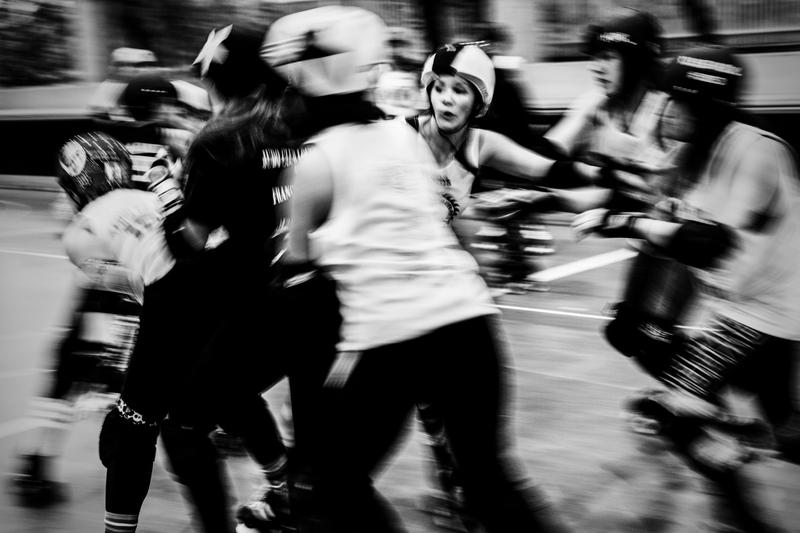 The roller derby is a female contact sport developed in a flat oval track, with two teams, 10 players on the track (5 of each team at the time of play). 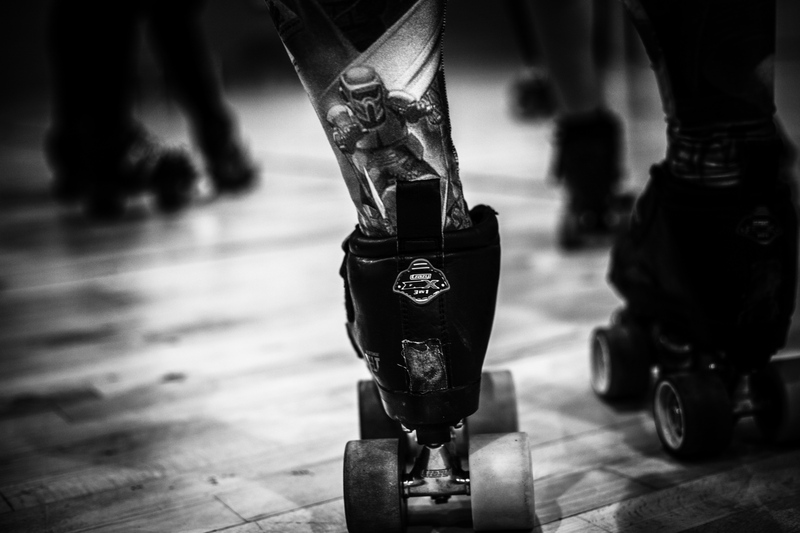 The term roller derby was first used in 1922 when the Chicago Tribune used it to describe multi-day roller-skating races, similar to the late Nineteenth-Century marathons reported by The New York Times. 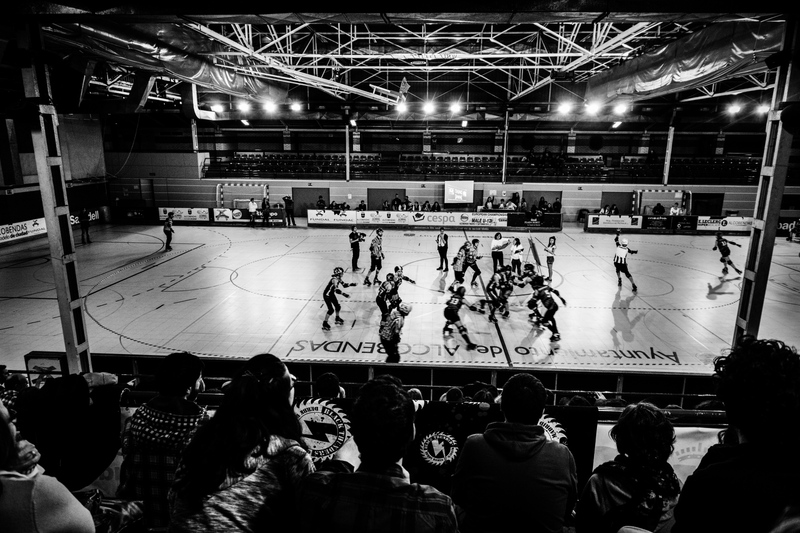 The roller derby became an icon of popular culture thanks to the celebration of matches in many cities in USA which were broadcast by radio and even on television. 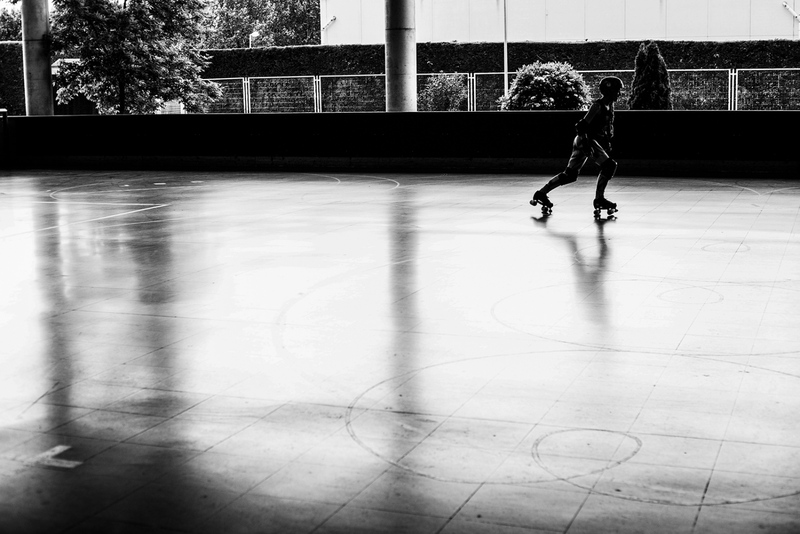 In the mid-1970s the Roller derby lost popularity and was relegated to television replacements headed by veteran skaters. 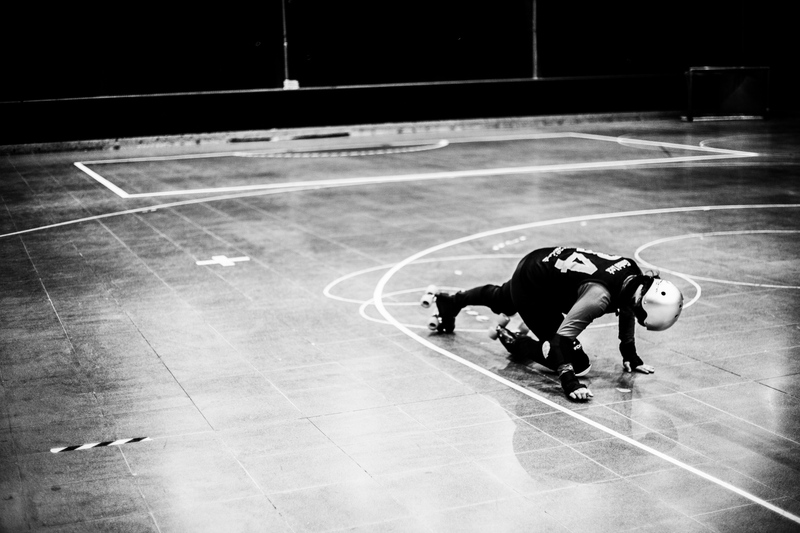 The revival of the contemporary female roller derby took place in the early 2000s in Austin, Texas. 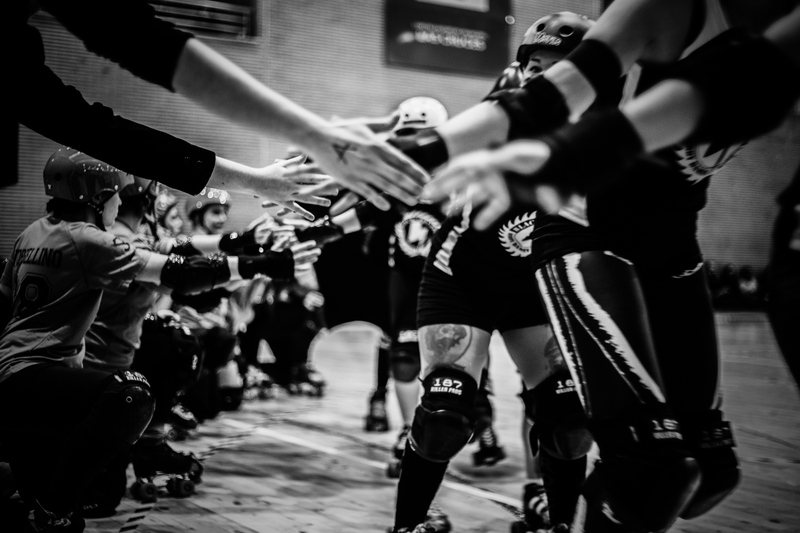 In 2004, a group of women's leagues formed what is now the Women's Flat Track Derby Association (WFTDA), which coordinates and establishes the rules governing the competition between the members of the leagues.